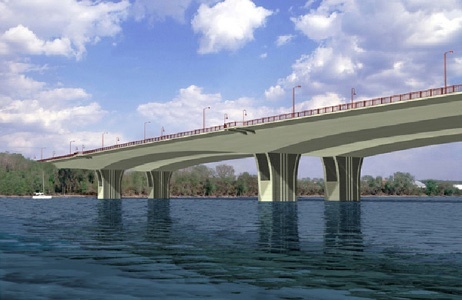 FINLEY provided the engineering and estimating services required to review the claim for costs in relation to the retrofit work and work performed to the vertical post-tensioning on Bridge No. 56 and the construction work associated with Bridge No. 55. This work was done to better understand the probable cost of the retrofit work and to provide a report of the relevant issues of this analysis that would assist in the resolution of the claim.